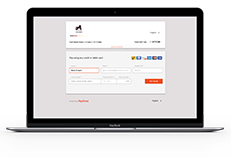 Sign up for your Payfirma merchant account today! In-store. Online. In the field. Recurring. You have enough things to worry about, and getting paid shouldn’t be one of them. We built the industry’s first Payment Headquarters so that you can take all kinds of payments, any way your customers want to buy. And we built it into one affordable, simple-to-use system so you can see everything in one place. Accept any kind of payment with one account. 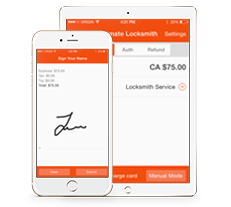 Give your customers the option to pay however, whenever, and wherever they want. And make better business decisions about your customers, products, and employees. We know that every business is different which is why we provide personalized quotes based on your unique business needs. Fill out the form above or call us at +1.800.747.6883 to find out what discount rate you qualify for. Businesses that use more than one payment channel generate more revenues. Accept credit card payments on the go by attaching a card reader to any smartphone or tablet. Easily accept credit cards on your website using an open payment API with your shopping cart and eCommerce platform. In-store and on-premise, traditional terminals let you accept credit, debit, and other payment methods using both EMV and NFC features. Turn any computer with internet access into a payment terminal. Accept payments in person, via phone or fax, in the privacy of your home, at the office or wherever you are. 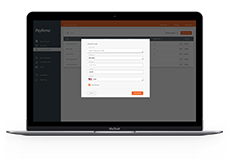 Save time and headaches when you send invoices via email, track payment statuses and get paid on an embedded hosted payment page. Turn your iPad into a point of sale and store your products, photos, SKUs, and prices all in one place. Set up payment plans and recurring billing programs to automate repeat payments and reduce the workload of manual billing. Payfirma has helped us improve our accounts receivable and cash flow management, made us look professional and helped make keeping client payment information safe, secure, and easy. It has also helped our team members earn great tips after a job is complete!